A completely new game from the legendary series The Elder Scrolls attracted the attention of gamers and in just a few days was downloaded more than 1 million times. Analytical company SensorTower announced that the new game from the popular The Elder Scrolls: Blades series has already downloaded more than one million gamers. Early access to the action started on March 27 for a limited number of participants. Only those who have submitted an application on the site and managed to get an invitation for it can receive a free game. Early access began immediately on two platforms – Android and iOS. It should be borne in mind that before the owners of devices from Apple could already begin to play as part of a closed beta test. Despite all these conditions, in the first week of The Elder Scrolls: Blades downloaded more than a million users, which is a very good result. Analysts have noted that we are talking only about iOS users, so that the actual number of players can be almost twice as much. The company Bethesda has not officially announced how many invitations have been sent and how many players have submitted a request. In the application, the player must select a phone model from a previously prepared list or specify the “Other” item. Apparently, the priority is given to the owners of the devices that the developers need for the test. 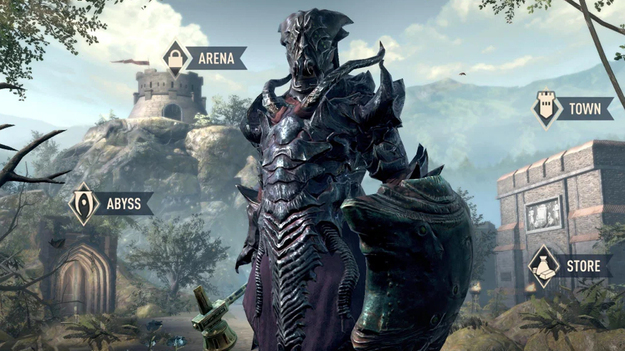 The Elder Scrolls: Blades in early access was released on March 27, 2019 on iOS and Android. The project will be free, but Bethesda has not yet announced the exact date of full release. Borderlands 2 and Borderlands: The Pre-Sequel for Steam are available for free.